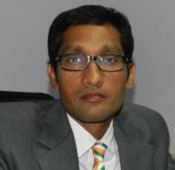 Krishna joined Spoton in 2013 as CFO and leads Finance, Commercial, Credit & Collections for Spoton. In addition, Krishna also leads the network engineering function, involved in network and cost optimization. Krishna started his career in 1997 with SkyCell Communications, and later at Thomson Consumer Electronics as Manager-Financial Planning. He later moved to GE Global eXchange Services as CFO of India operations for 5 years. Prior to joining Spoton, Krishna was leading the Financial Services Outsourcing unit at Logica. Krishna is a Chartered Accountant and also Commerce graduate from Madras University. Uday previously worked with Aramex as Country Manager - Business Development. He later joined Safex Pvt. Ltd. to head the Sales & Marketing as Vice President and Sales & Marketing for a period of 5 years. 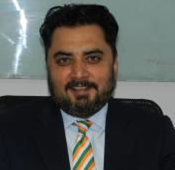 After 20 years of experience in express logistics industry, he joined Spoton as Director Sales in July 2013. Uday has a B.Sc., Chemistry from the University of Mumbai, and is a Diploma Engineer from NIIT. 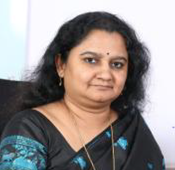 Jothi, in her vast experience of over 25 years has worked with companies like Hewitt, IBM, AOL, Accenture, handling various human resources roles. 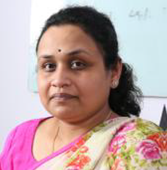 She joined TNT India in 2011 and has been instrumental in driving the Human Resource and Service Quality functions. Jothi holds an MBA degree in human resources management from XLRI. Sharmistha has worked with Blue Dart Express Ltd. for 13 years, handling various roles within the customer service function, the last profile being, regional customer service manager - North. She joined TNT India in 2007 and is currently heading the customer service team at Spoton, Sharmistha is an English literature graduate from Delhi University, with MBA from Symbiosis Institute of Management Pune through distance learning. Rajesh Kapase, has been involved in designing information technology solutions, that address complex business problems over the last 16+ years. Working with companies like Megasoft Information Systems, Brisk Electronics Services, and First Flight Couriers Limited he has generated big business opportunities that have exponentially fortified company revenues. Buoyed by a B.Sc. IT & MBA IT, he has also shepherded companies in Software Development/Support, Data Warehousing & Business Intelligence, Network & Infra Management, Resource Development, Management & Team Building.